The Calice vase with its stepped form, integrated truncated column, and exaggerated base will instantly become a focal point in any interior – functioning as both sculpture and vase. 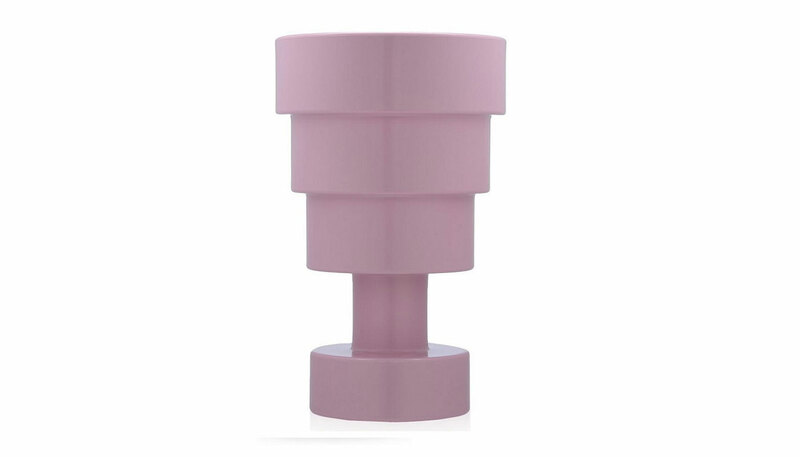 Part of a range of objects that Ettore Sottsass actually designed for Kartell in 2004 and 2005 – Colonna, Pilastro, Calice – that were put into production posthumously in 2015 by Kartell. Calice is composed of mass-dyed thermoplastic technopolymer and is available in a choice of five colors – green, red, pink, purple, and black. Manufactured by Kartell.